Today Apple releases Mojave 10.14, one year after the launch of macOS High Sierra 10.13 with eGPU support. We have been following the development of this latest version since WWDC18. During the past six months Apple made significant progress by narrowing their focus to Thunderbolt 3 Macs and select AMD Radeon graphics cards. Support for true hot-plug, internal display acceleration, and multiple eGPUs are the highlights of Mojave 10.14 release for eGPU users. While these are welcome improvements, Apple excludes users with older Macs and/or Nvidia graphics cards. There's no sign Apple will ever extend eGPU support to Thunderbolt 1 and 2 Macs. Nvidia and Apple remain on unfriendly terms. Fortunately the developers of our community, Goalque, Mac_Editor, and Fr34k have continuously engineered workarounds to keep many Mac users in the game. Boot Camp mode to run Windows shows minor progress however. Does the release of Mojave mean your Mac is ready to adopt external graphics technology? Your particular configuration holds the answer. 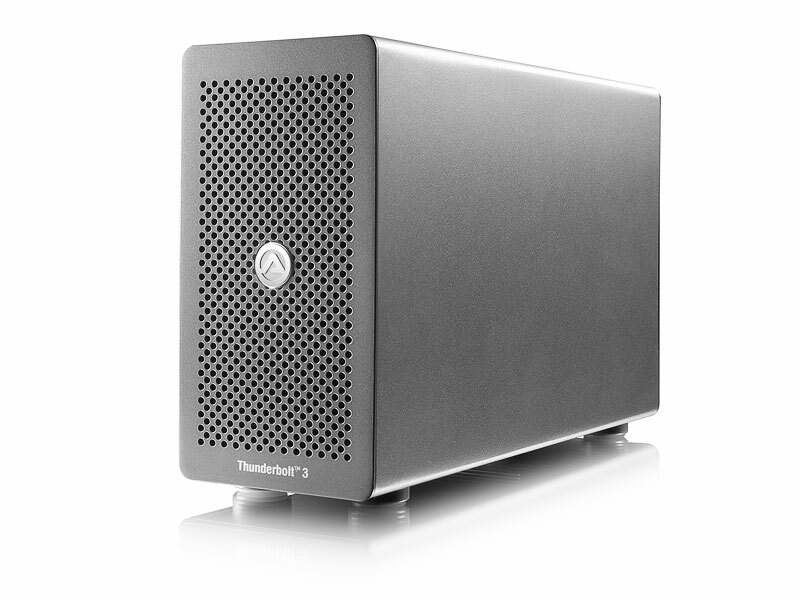 If you have a Thunderbolt 3 Mac computer, you're in luck because this is the platform on which Apple has been building eGPU support. All you'd need is a MacOS-certified AMD Radeon graphics card + eGFX enclosure pairing that fits your needs and budget. 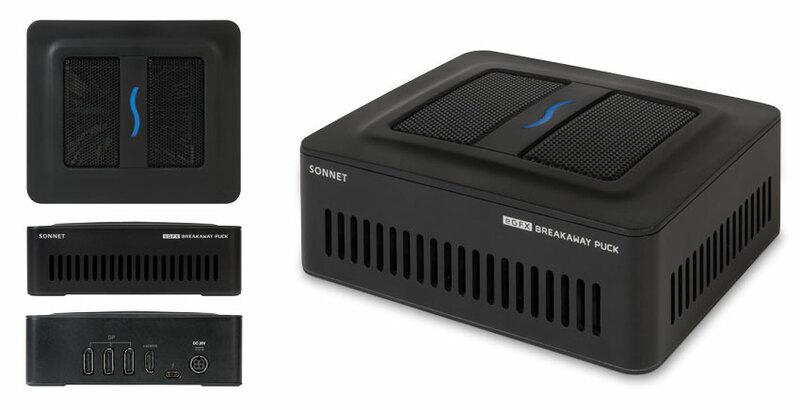 There are a handful of solutions that come ready-to-go with a graphics card such as the Sonnet Breakaway Puck 570, Gigabyte RX 580 Gaming Box, and Blackmagic eGPU. As of fall 2018, these are Thunderbolt 3 Macs that have native eGPU support in MacOS 10.13.4 and newer. A more future-proof route is to piece together an eGPU yourself. This process takes more effort but gives you flexibility and upgradability. This is beneficial for both enthusiasts and first-timers. Enthusiasts get to have nearly full control of the features they want out of an eGPU. 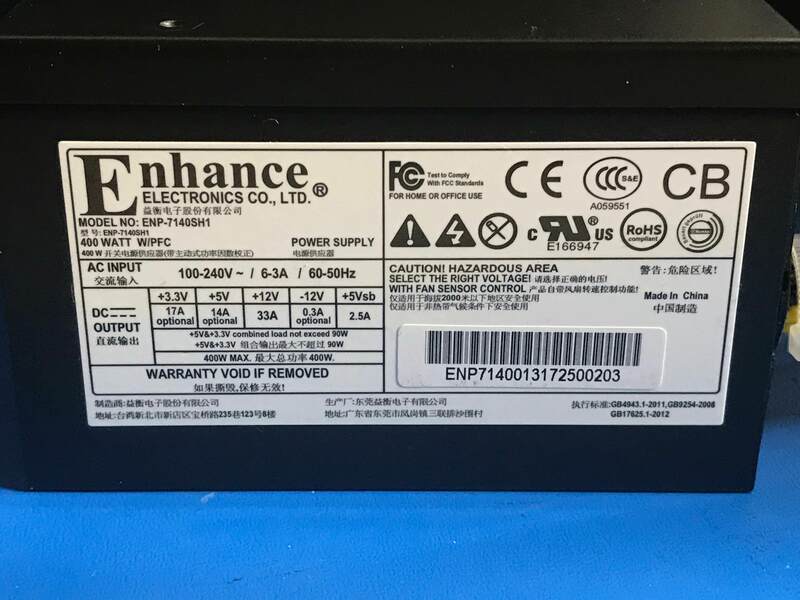 If you try eGPU out and decide it's not what you expect, the GPU can be repurposed and the enclosure sold. There is some homework to do in order to understand eGFX technology and what features are available. 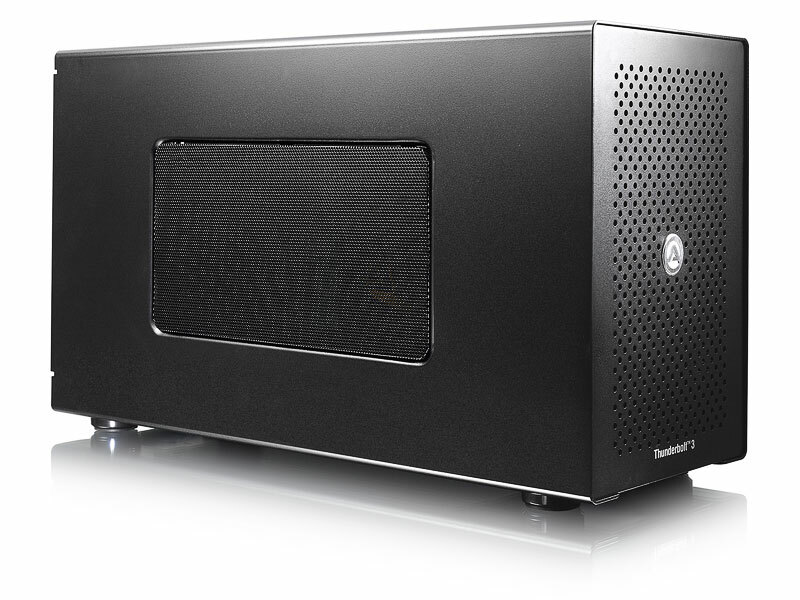 eGPU.io enclosure reviews go into detail on power delivery to host computer, available expansion I/O ports, power supply capacity, and more. The options listed in the table below are currently available and best-suited for Mac computers. The ranking is based on the number of user builds in the past six months. Updated firmware7 40.1✔ 33.1✔ F1.1 | F1.0 | F1.0 | F1.0 ✔ 25.2 | 25.2 | 25.2 | 25.1 | 25.2 | 25.2 ✔ ✔ 26.1✔ 25.1✔ 25.1✔ ✔ 25.25✔ 26.1✔ 33.3 B1-25+4.4.3✔ 26.26✔ v003✔ 26.3✔ ?? 1 For macOS ≥ 10.13.4: AMD RX480/580 & these are supported. Nvidia 10.13.x support can be added with purge-wrangler. 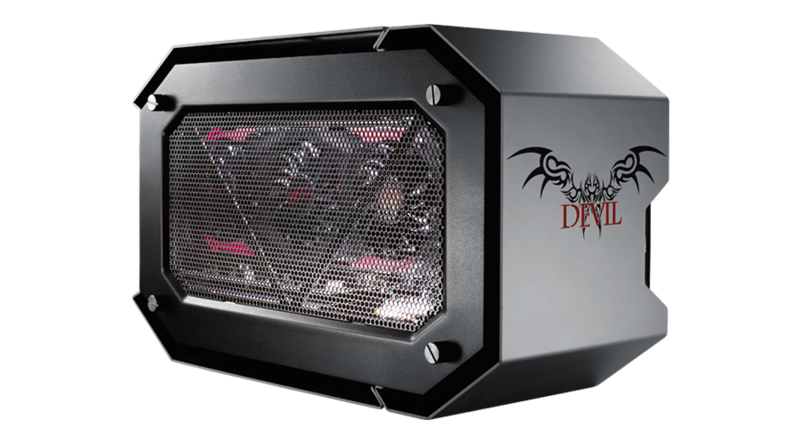 2 Flex-ATX (fATX) PSUs have a tiny 40mm high RPM cooling fan that is noisy under load. 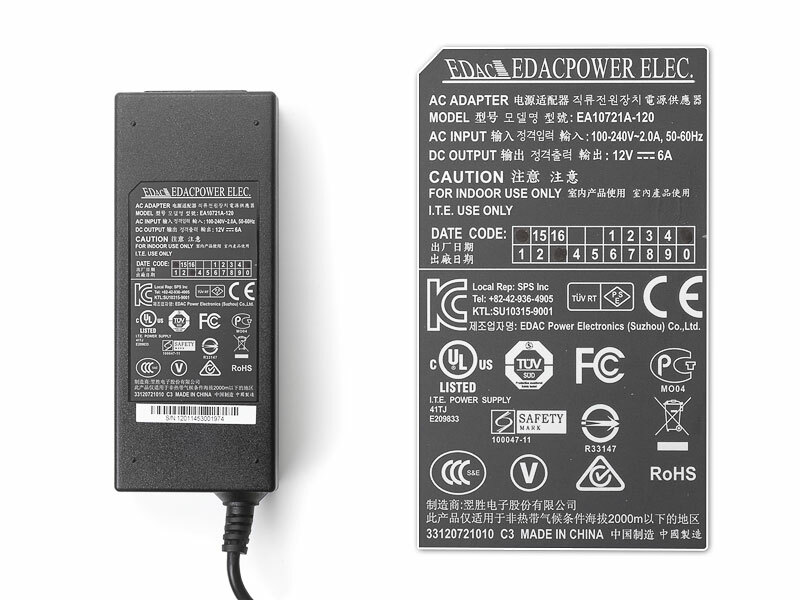 Separate external-AC PSUs are not included in product's size. 3 Meet or exceed your intended video card's peak power requirements. See TechPowerUp card reviews, eg: GTX1080Ti to find this. 4 Meet or exceed your TB3 notebook's charger wattage for the TB3 enclosure to be a single-cable solution that includes charging. eg Macbook USB-C chargers. 5 2nd TB3 port can be DP, USB-C or daisy-chain TB3 . 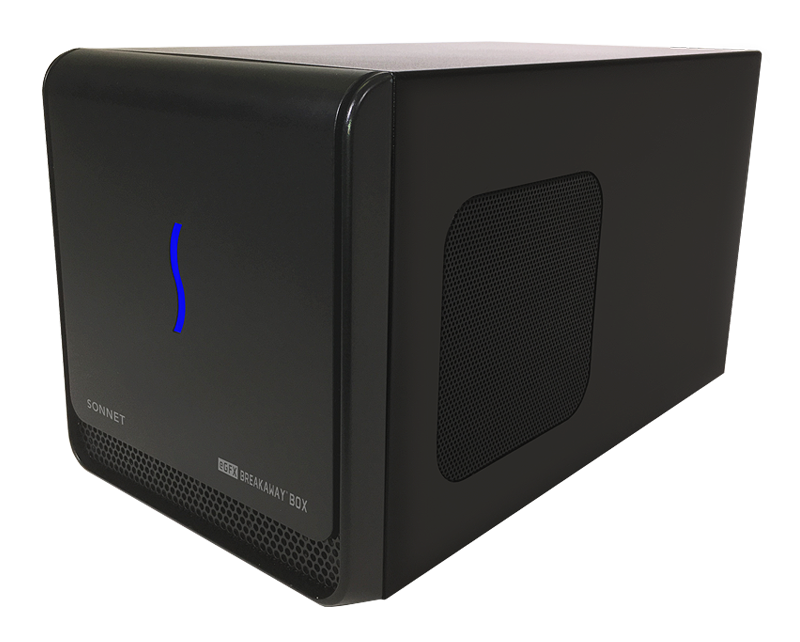 eGFX certifies enclosure for external GPU use rather than just PCIe expansion. Note: Intel often disallows a 2nd TB3 port on eGFX enclosures. 6 USB-based enclosure I/O ports exhibit flakey behavior under load as described, except for Razer Core V2 & VisionTek mini eGFX which use a second TB3 controller to host I/O ports. 6 ports' use reduces eGPU bandwidth by up to 31.2% @10Gbps, 15.6% @5Gbps. Except for (i) Displayport devices (ii) XG Station 2 that hosts ports off a separate USB-B cable. 6 If used on a TB2/1 system via a US$49 Apple TB3-TB2 adapter, USB ports are not visible in Windows (inc Aorus' fan control). They do appear in macOS. Ref: theitsage. 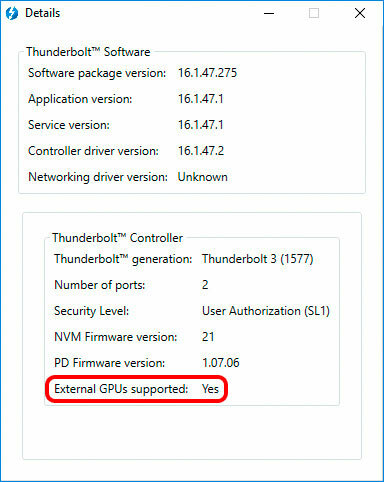 7 Allows eGPU detection in Windows for systems reporting "external GPUs supported: no" in the Intel Thunderbolt software. 8 If require a longer TB3 cable, consider these: US$50 AKiTiO 200cm, $50 Cable Matters 100cm. 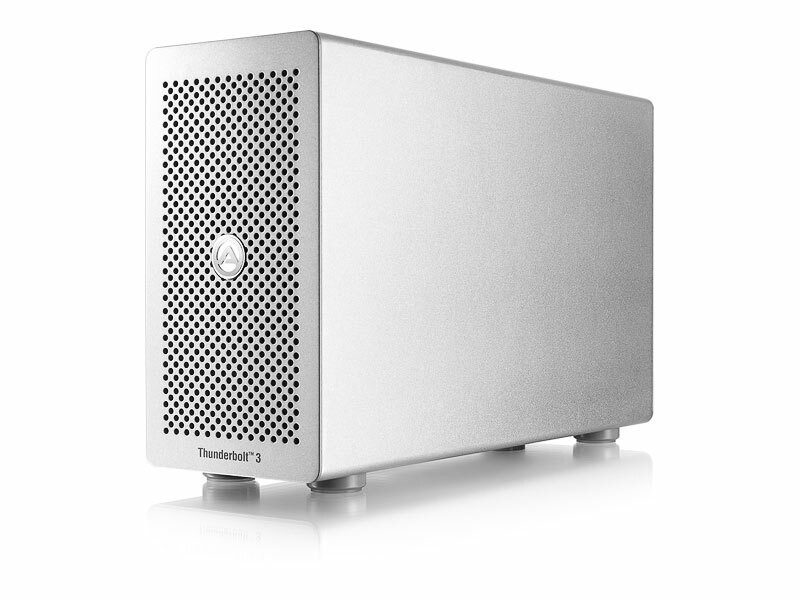 All Thunderbolt 3 enclosures released in 2018 are macOS compatible. The bigger compatibility unknown rests on the graphics card. Apple only provides native eGPU support to select AMD GPUs shown below. They are currently the latest generation of Radeon Polaris 10/20 and Vega 56/64 cards. 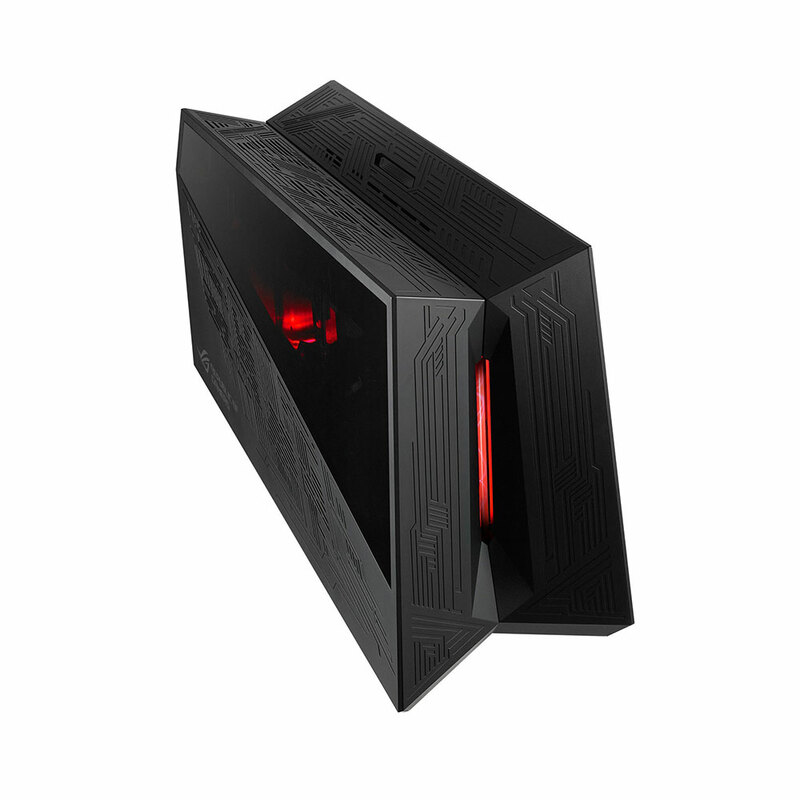 As a precaution, Vega 64 GPUs demand a lot of power and therefore the eGPU enclosure should have at least a 650W power supply. Polaris GPUs such as the RX 570 are more efficient and can work with almost all eGPU enclosures. Once you have the whole kit together, it's plug-and-play with a Thunderbolt 3 Mac. Hot-plug and surprise removal of the external GPU has been working since 10.13.4. Occasionally the system may notify you it has to force-eject the eGPU. I've seen less of these notifications in Mojave 10.14. This macOS version also has much better support for multiple eGPUs. In High Sierra, there appeared to be a limited number of eGPU the system could handle based on the host computer's Thunderbolt 3 controllers. macOS Mojave 10.14 raises this multiple eGPU support to four units. The most exciting feature is the ability to accelerate a Mac's internal display with the eGPU. In previous macOS builds, the external GPU could only provide acceleration to OpenGL tasks rendered through an external monitor. There's now a checkbox to set the eGPU as the preferred graphics card for all tasks in 10.14 regardless of whether an external monitor is attached. This mode forces eGPU loopback to the internal display of a MacBook Pro or iMac. In my opinion, an eGPU pane inside System Preferences would be a better tool. What's the status of native eGPU support in macOS for Nvidia graphics cards? What about those of us with older Macs that are not Thunderbolt 3? Apple's support is dead in the water. As a long-time Mac user and owner of a 2013 Mac Pro trashcan and 2015 15" MacBook Pro, I'm disappointed by this. So are thousands of others in the same situation. Our community has been relentlessly providing unofficial eGPU support for these Macs Apple deemed unworthy. The main developers are Goalque, Mac_Editor, and Fr34k. 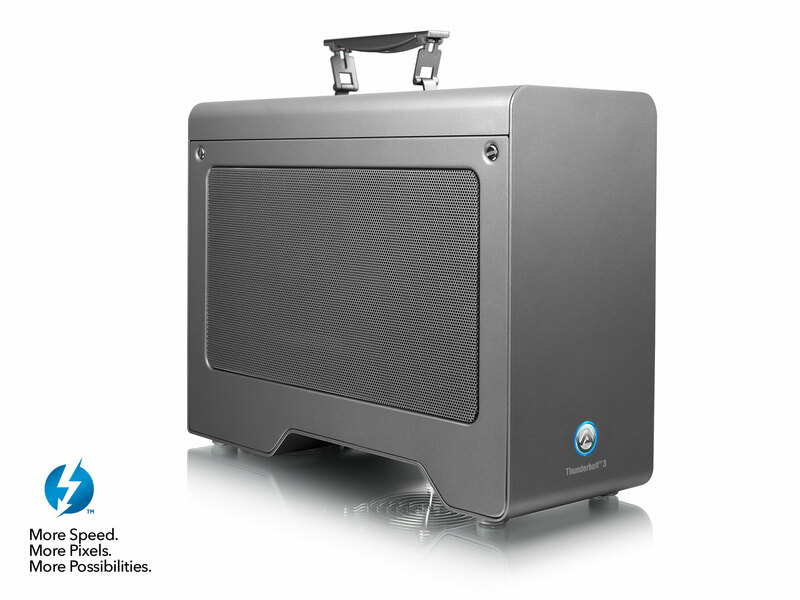 Without their selfless contributions eGPU for Macs would not be as popular as it is today. There are currently two primary approaches to facilitate eGPU support on older Macs and Nvidia graphics cards. One solution is to make a Thunderbolt 1/2 Mac behave like a Thunderbolt 3 Mac. The other solution is to make an eGPU behave like an internal PCIe graphics card. Thunderbolt 3 Mac users that want to use Nvidia cards can also benefit from these two community solutions. Keep in mind Mac computers with the Apple T2 chip (iMac Pro and 2018 MacBook Pro) have tighter security in place. In order to implement these solutions, Secure Boot must be off and external source booting must be enabled. Purge-Wrangler by Mac_Editor is currently the easiest solution to enable eGPU access to your Thunderbolt 1 or 2 Macs. This workaround also incorporates patches that enable compatibility with Nvidia and older AMD graphics card. The prerequisites are for SIP to be disabled and modifications made to system files. The table below lists the Thunderbolt version of Mac computers built from early 2011 to late 2015. You can either use a Thunderbolt 2 enclosure for external graphics or use a Thunderbolt 3 enclosure via a Thunderbolt 2 cable + Apple Thunderbolt 3/USB-C to Thunderbolt adapter. EFI automate-eGPU solution by Goalque is a cleaner approach in that all patches happen on the fly during macOS booting process. The software can be installed on an external boot volume such as a USB thumb drive or a small partition of your Mac's internal hard drive. The former is strongly encouraged so that there's no risk of corrupting your drive and losing data. Using an external drive for each boot is not convenient, but it's well worth the effort if you're not willing to disable SIP and modify system files for eGPU support. The table below shows some of Nvidia and unsupported AMD graphics cards that can work in external mode once you implement one of the two community eGPU solutions. While AMD cards have drivers in macOS Mojave 10.14, we still need Nvidia to provide web drivers for their GeForce cards. We have tested these solutions extensively and are confident they will work as long as compatible drivers are available in a timely manner. The typical turnaround for Nvidia web drivers is 24 hours from when Apple releases a new macOS update to the public. Many Mac users who are interested in eGPU want to use it for gaming in Windows. We were hoping eGPU improvement in macOS Mojave 10.14 would also mean better support for Boot Camp mode. The reality is that Apple still considers eGPU use in Windows a non-priority. We had seen beta builds of macOS Mojave 10.14 directly affect the way eGPU worked in Boot Camp. Unfortunately there's no one clear solution. It's easier to set up an eGPU with Boot Camp in iGPU only Mac computers; dGPU-equipped Macs such as the 15" MacBook Pro pose a challenge. My Boot Camp eGPU setup guide provides more technical information and the step-by-step process for Thunderbolt 3 MacBook Pro users. 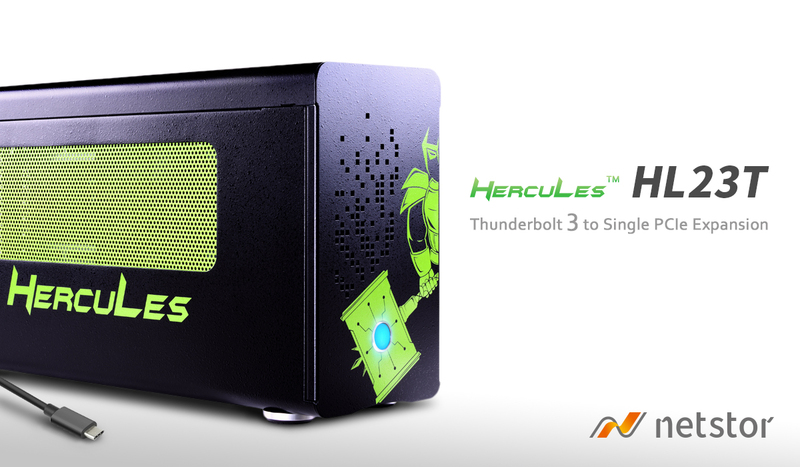 While both AMD and Nvidia have made great strides in eGPU support for Windows, Apple does not adhere to the ways Windows computers interact with Thunderbolt 3 eGPUs. I've been testing the 2018 15" MacBook Pro. The Mac firmware and Apple T2 chip are big hurdles to successfully set up an external GPU in Boot Camp. The only saving grace is that it has Large Memory allocation to help with error 12 when adding an Nvidia eGPU. As seen in the screen capture, adding an AMD eGPU in Boot Camp can wreak serious havoc to the system. Both the Radeon Pro 555X dGPU and RX 580 eGPU got yellow-banged with driver conflict and lack of resource issues. Microsoft has done Apple a huge favor with Windows 10 Spring Update. Version 1803 introduced Windows Hybrid Graphics that allows the external GPU to work with a discrete GPU for internal display acceleration. 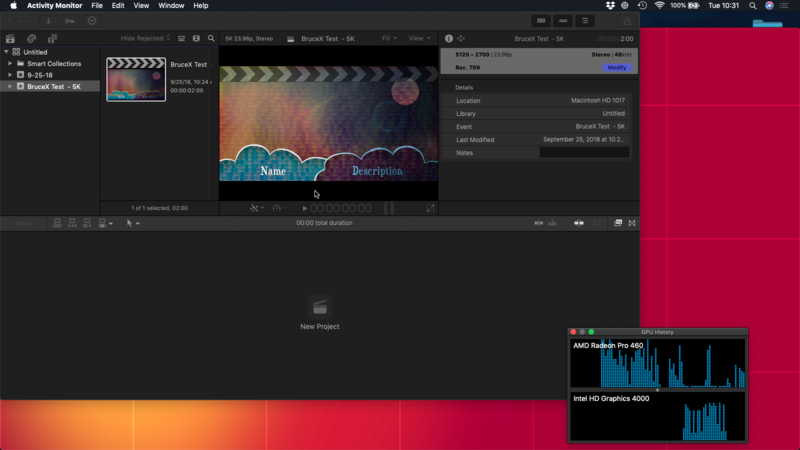 This is beneficial for Mac computers because Apple firmware has a tendency to disable the Intel-integrated GPU in favor of the AMD Radeon discrete GPU. Without an active iGPU, AMD XConnect and Nvidia Optimus can't leverage eGPU acceleration to the internal display. As seen in the Graphics Settings of Windows, you can set your preference for a given software or game to use the higher-performing external graphics card. Mojave 10.14 has shown positive progress for eGPU Mac users. Hot-plug capability, internal display acceleration, and multiple eGPU support can truly transform an ultra-portable MacBook Pro into a powerful workstation. 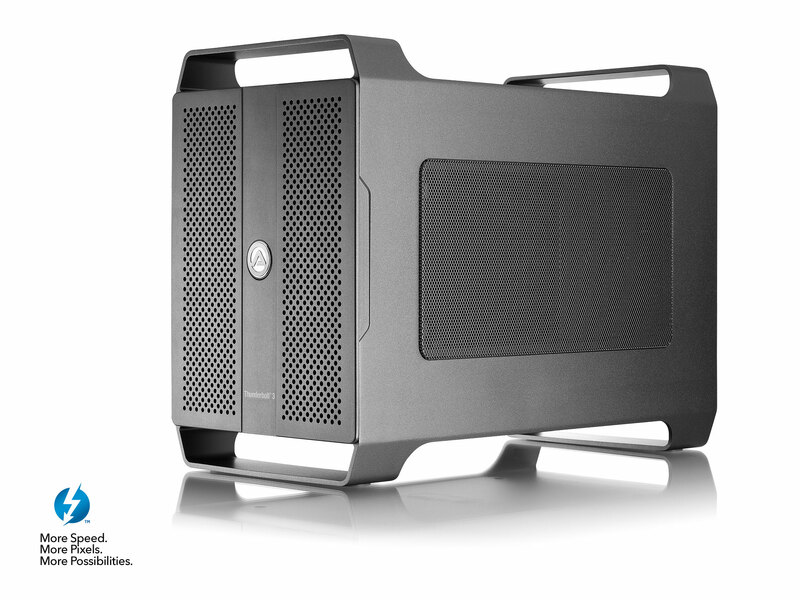 Our community remains committed to providing eGPU support for Nvidia and older Thunderbolt Mac users. We're also hopeful Apple will improve its Mac firmware to make eGPU in Boot Camp a more straightforward process. How safe is it to upgrade if I'm using an Nvidia card in Bootcamp with a 13inch 2017? @eightarmedpet Your configuration should remain unchanged in Bootcamp after Mojave update. I no longer have a 2017 MBP to test so I'm basing this on my experience with the 2016 15" MacBook Pro. For what its worth, when I got the email survey from apple about my 2018 MacBook pro, I explained that lack of nvidia egpu support and lack of bootcamp egpu support were the 2 things I really wanted to see improved on the mac platform. I really hope they do expand on their existing egpu implementation. Especially now with the entire gpu market potentially in flux regarding features like hardware ray tracing etc. @nanobit Do you boot up with the eGPU connected? I've found hot-plugging an Nvidia eGPU in Boot Camp with the 2018 15" MacBook Pro would allow the dGPU and internal display working. I wait for Windows to load fully into the Desktop then hot-plug eGPU to the right Thunderbolt 3 port closest to the hinges. It may take a couple minutes to initialize and load Nvidia drivers. Once it does, you can set Windows Hybrid Graphics to use the eGPU for internal display acceleration. Sorry but I did not quite understand from the text - is it safe to upgrade for 2013 MBP with 750GTM? To use with purge-wrangler? @reptilianbrain Non-Thunderbolt 3 MacBook Pro + Nvidia eGPU configuration falls under community support. While the two solutions from @goalque and @mac_editor should work, Nvidia has not releases Mojave 10.14 compatible web drivers so it's best to wait. Looks like 10.14 completely broke compatibility w/ my 1080 and 2018 15" MBP. Bummer! Reinstalled/ran purge-wrangler and patched the necessary Nvidia driver, but no dice. Boot Camp appears to still work fine. Luckily it's not a huge deal for me, but I'd be wary of upgrading until all the kinks are ironed out. If anyone has suggestions to get this setup functional again, I'd be super grateful! @fork_bomb This is expected. We need to wait for Nvidia to release compatible web drivers. Just upgraded to 10.14 on my 2012 MBP with AMD RX 460 eGPU using purge-wrangler. No problems as expected and after uninstalling and reinstalling the patch and rebooting the eGPU works great. It even fixed my hot-plug issues. @nu_ninja Good to hear 🙂 You needn't uninstall. Just install again after an update and it should be taken care of. Great update & summary of the current situation. Thanks theitsage and all for your amazing work letting us all use eGPU's. @nu_ninja Thanks for the update. Did you upgrade from HS or Mojave beta? Can you please inform us if fcp x works and if eGPU is used for rendering and exporting? I am using MBP 13 2015 /tb2 with mojave latest beta and everything works smoothly. I however use fcp x 10.3 works perfectly with the egpu. @nanobit Are you using the default Apple Boot Camp graphics drivers? I'd recommend uninstalling them with DDU then install drivers from Bootcampdrivers.com. @tsakal I upgraded from High Sierra. FCP (I tested 10.4) works with eGPU for rendering/exporting after checking "Prefer External GPU" checkbox in "Get Info". I wasn't able to use set-egpu.sh for this, only the finder checkbox. BruceX test time went from about 108 seconds before to 77 seconds after. Thank you. 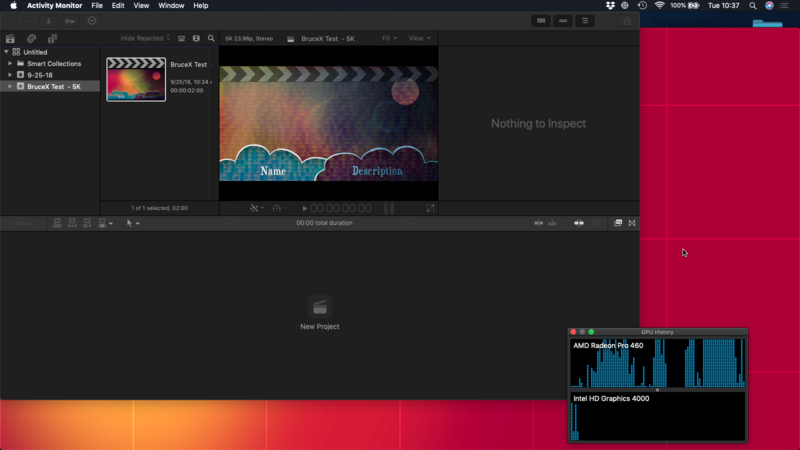 Which fcp version are you using ? @nanoBit - FYI, I was able to make the built in display no longer black by simply uninstalling the AMD drivers that Bootcamp installs. So, Windows thinks it's an unknown display adaptor but it seems to work fine regardless. I do not use it for any display acceleration instead using an external display with my Titan X. But it works fine for having a web browser, YouTube, etc up on the laptop display while gaming or what not on the external display. Edit - Clarification, I didn't use DDU or anything only went through the standard Windows uninstall programs and removed the AMD stuff. @sharpnl sounds good! But I use the dGPU often when I travel, so it needs to be accelerated and I'm curious if there are any performance differences without the AMD driver. Would you mind running a benchmark (Cinebench preferably) without your eGPU being connected? Just to see if there's a performance loss. I would wait a couple of releases to install on my prod drive as I see that there are some performance issue with GPU in general. @shrapnl Uninstalling the drivers isn't necessary. Just disable it in the Device Manager and it should do the trick. Then one can enable easily on the go. @nanobit Hotplug should work if you plug in to the right hand side port, and have anything else unplugged. If you plug in something to the remaining right side port, eGPU may disconnect. After hot-plugging eGPU, you can plug in stuff on left side ports. This also means no need to disable dGPU. You can read more about the investigation from this post onwards. Guys, any of you use razer synapse on macos? More idle curiosity than anything else, as I've moved on, BUT... is there a definitive answer on how many eGPUs MP 6,1 supports under Mojave yet? I have a Razer Naga Chroma I use in boot camp and macOS, alongside my Razer Core v2 which can be RGB configured in windows only (tho you can sort of cheat and configure it in parallels by connecting it's usb device to the VM). Before Installing Mojave I ran the uninstaller and completely removed synapse. I installed the new version from razer's website after installing mojave. There was an additional step of going to the security & privacy control panel in system preferences, going to accessibility and putting a check next to rzdeviceengine. This is due to new whitelisting preventing unapproved software from interacting with the UI subsystem. It works (for me) as well as it did in High Sierra. The DPI settings and button mappings do not match between windows and macOS, so I immediately put the mac synapse offline. Additionally, it does not normally configure or detect my naga til I open the MacOS Synapse window and unplug and plug in the mouse after logging in. If I do not do this it uses the default dpi and button mappings. I have read horror stories about the razer driver causing issues on mojave during login for certain razer devices but aside from the above mentioned quirks its been fine for me. As a general stability comment, Mojave has worked pretty well with AMD GPU in testing. Behavior / stability similar to 10.13.4+. Only thing I noticed was it can take longer to eject the eGPU so don't shut it down and pull the TB3 cable until the eGPU screen goes totally blank and the main screen resumes focus. 10.14.1 Beta 1 is available to developers. No significant changes at first glance. Build is 18B45d. Also Mojave has faster Metal drivers, I get better fps in all games, same thing with the old OpenGL.